Like Amy, I decided to make a decadent dessert this week – mine was definitely on the quick and easy side of the spectrum. I did add an element of danger, however, a little flambé action (kids… don’t try this at home). You guessed it, Bananas Foster. Bananas Foster was created in 1951 by Paul Blangé at Brennan’s restaurant in New Orleans – the dish is named for Richard Foster, a good friend of the restaurant’s owner. Foster was then New Orleans Crime Commission chairman. How ironic, this dish is so good it must be a crime to consume it (ha-ha). Before you get the cooking process started, I’d highly recommend listening to a little Michael Buble – it really adds to the ambiance. 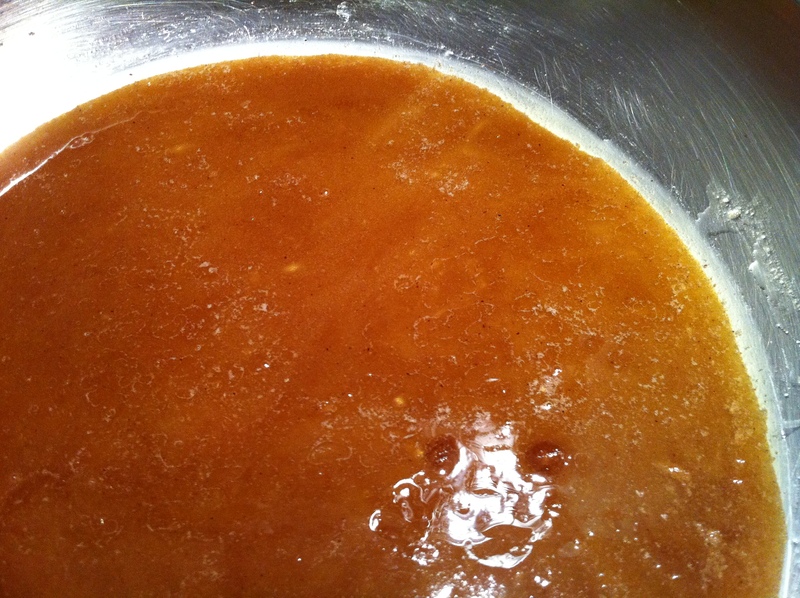 In a small frying pan, combine the brown sugar, butter and cinnamon over low heat until the mixture is melted and smooth. 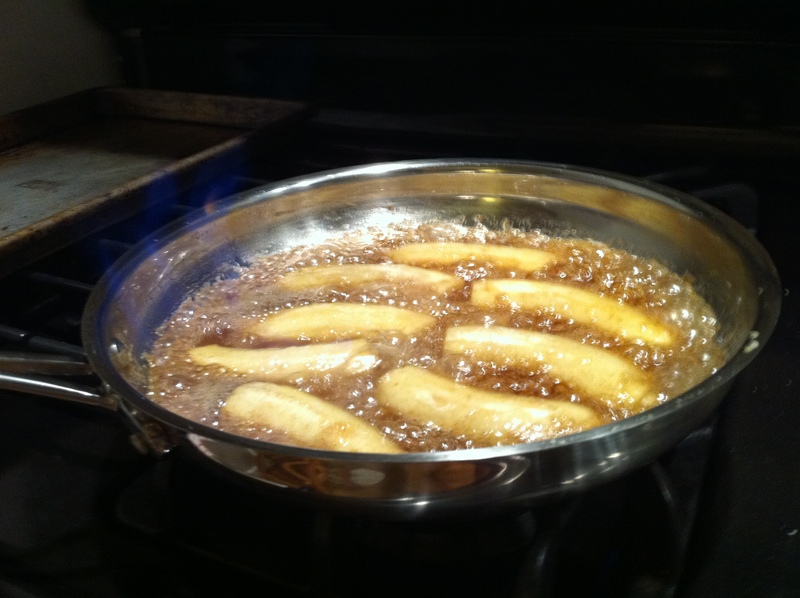 Add the bananas, make sure they are evenly dispersed in the brown sugar mixture. Cook them until they soften and start to brown. Then carefully pour in the rum (the sauce may splatter). After it has heated through, light it on fire and let it burn until it dies out. Serve immediately over vanilla ice cream. Yum! 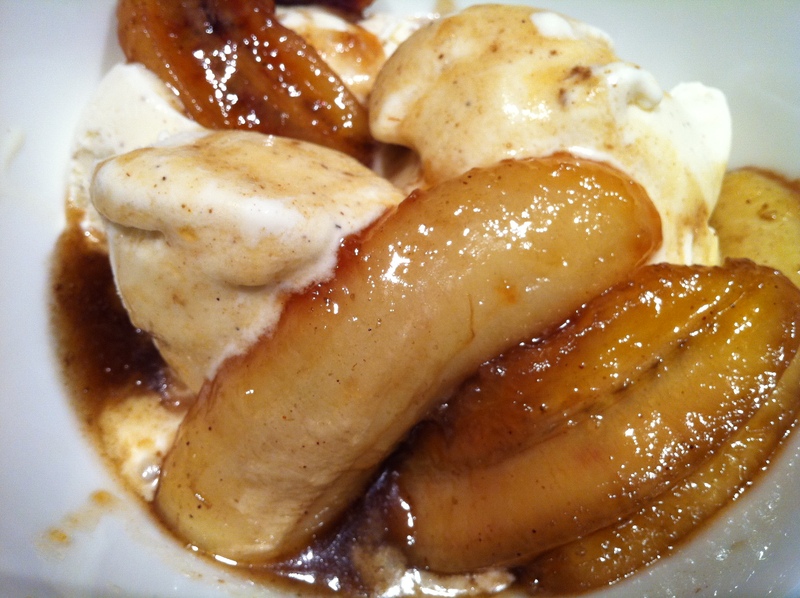 This entry was posted in Bananas and tagged banana, Bananas Foster, brown sugar, butter, dessert, flambe, Ice Cream, rum. Bookmark the permalink.